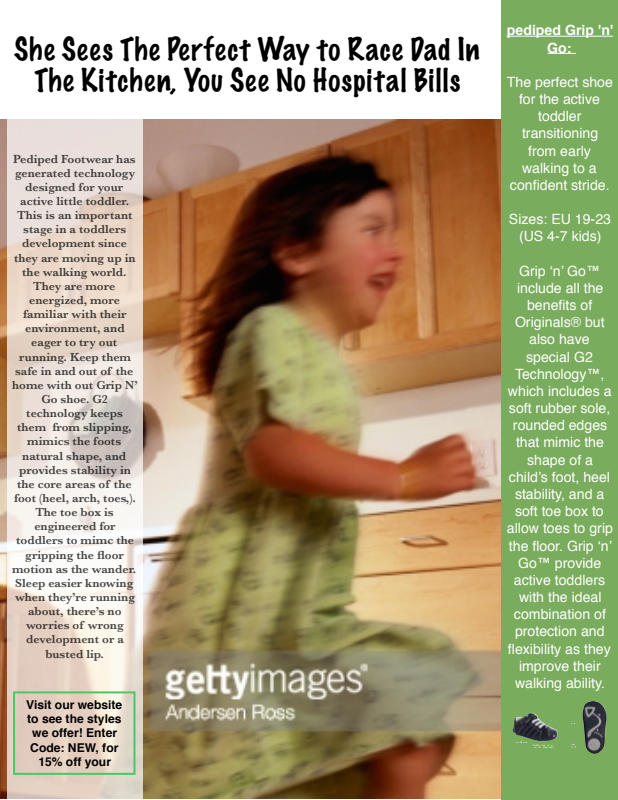 PediPed Footwear is trying to target younger mothers and convince them that PediPed Footwear is the only footwear certified by podiatrists and the only healthy option for your child. 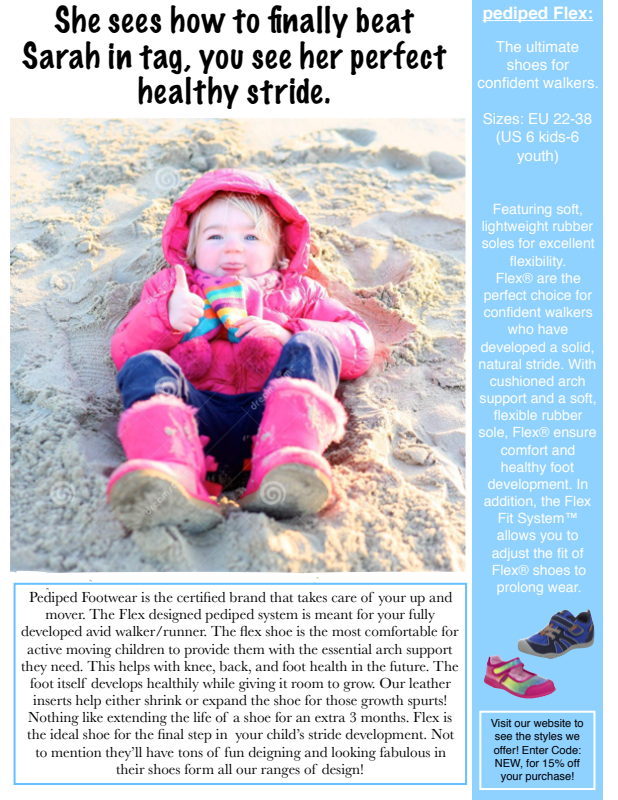 The ad has three parts for the three stages of the footwear for the stages of growth through childhood. The ads are a headline that depicts two views: the view of the child and the view of the parent. 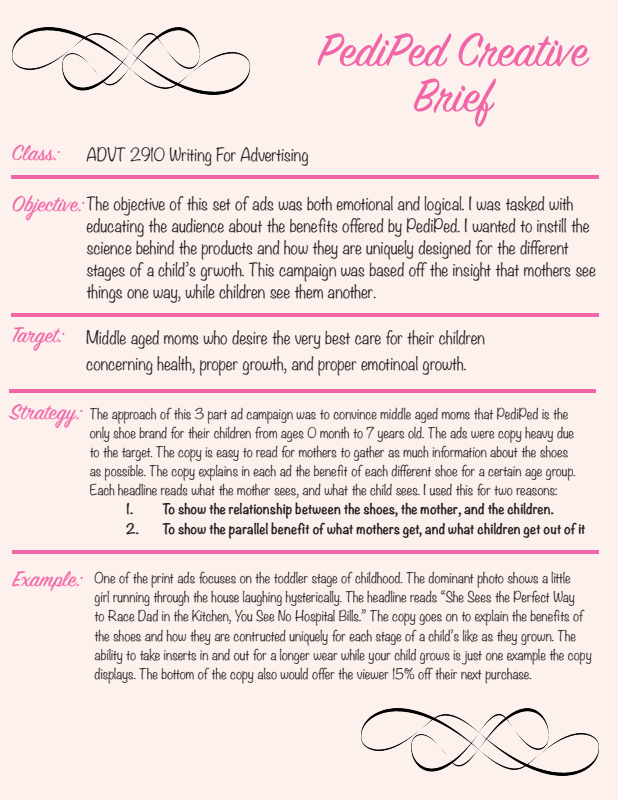 The ads also help convince mothers that PediPed is the most versatile and healthy for young growing children.